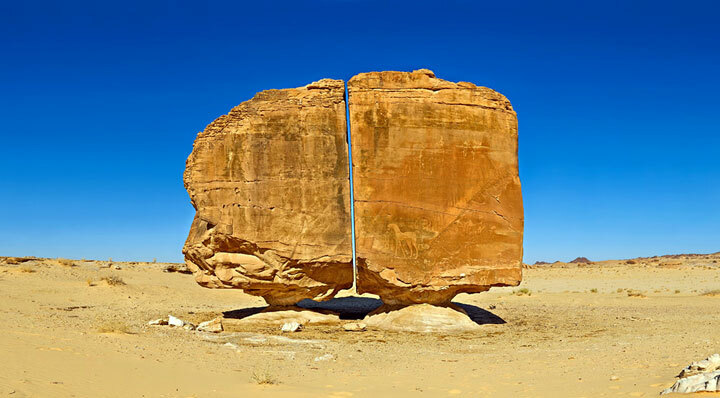 One of the many natural occurrences that puzzle any traveler is Al-Naslaa Rock Formation, located in Tayma oasis, Saudi Arabia. Recent archaeological discoveries show that Tayma has been inhabited since the ancient times. This is one of the most photogenic petroglyphs in the area. 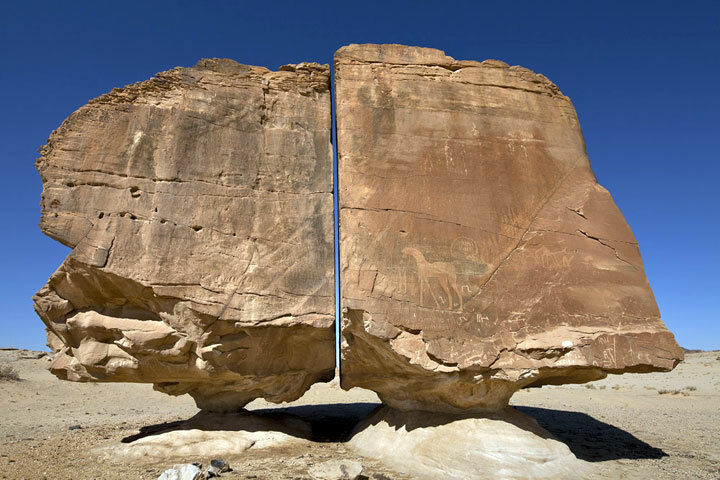 Al-Naslaa has a perfect slit between the two standing stones and the flat faces are completely natural. 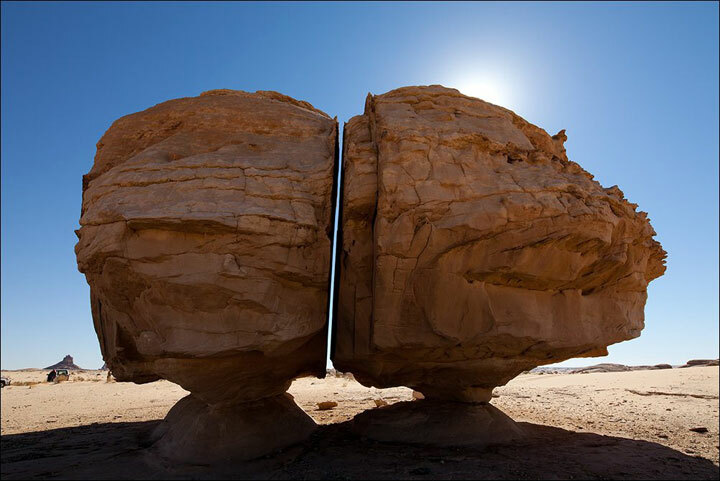 Experts say that the causes of this perfect slit could be the ground shifted slightly underneath one of the two supports and the rock split. This could be from a volcanic dike of some weaker mineral that solidified there before everything was exhumed; or, it could be an old pressure crack (you see a parallel crack just to the right of it) that has been pushed/pulled apart some. Or perhaps it could be an old (minor) fault line, since fault motion often creates a zone of weakened rock that erodes relatively easier than the surrounding rock.